Thirty-seven days after Hurricane Maria hit Puerto Rico, the story of the island’s slow, painful recovery continues to be told through statistics. Just under 28 percent of people have power, 77 percent have running water, and 67 percent have access to telecommunications services, according to a website maintained by the island’s government. One number that status.PR is not reporting, though, is the ever-increasing death toll from Maria and the devastation that followed. On Tuesday, the official number of hurricane-related deaths was bumped up to 51 after two deaths from leptospirosis, a bacterial infection caused by contact with water contaminated with animal urine. But on Friday, two new reports from CNN and BuzzFeed suggested that the actual count is much higher and the full number of those killed by the hurricane will never really be known. The Bureau of Forensic Sciences in San Juan is responsible for confirming deaths caused by the storm. That means bodies have to either be shipped to San Juan or a medical examiner must travel to perform an autopsy. Given the infrastructure issues that remain on the island, this can present a challenge. So often it’s not done. And in some cases, local officials seem unwilling to even try. The executive director of one hospital in Arecibo told CNN’s John Sutter that none of the people who have died there have been sent to San Juan for examination. That includes the woman whose family says she died while awaiting surgery after the hospital’s backup generator failed. Experts say this type of death, which would have likely been averted were it not for the hurricane, if even by a day, should be counted among the official tally. It wasn’t. BuzzFeed’s Nidhi Prakash investigated the issue of uncounted deaths by visiting ten funeral homes and crematoriums in the western part of the island, where she found a breakdown in communication. The Bureau of Forensic Sciences says the directors of these businesses are to send bodies to San Juan if they think the deaths might have been hurricane-related. But the directors say they’ve never received any guidance on that. And anyway, the bureau has been giving them permission to cremate bodies of those who died in the aftermath of the hurricane. It is up to congress to help Puerto Rico out of this catastrophic situation and to provide the conditions for the island to become a state with the same rights, responsibilities and opportunities as all the American citizens who reside in the other 50 States. We want statehood or incorporated territory status now. Five centuries as a colony is enough. Puerto Rico does not deserve this unfair and morally reprehensible treatment. There are many on the mainland who agree. A new Fox News poll out this week has a plurality of registered voters siding with Saldaña in favor of Puerto Rican statehood, a change from a decade ago. BREAKING! 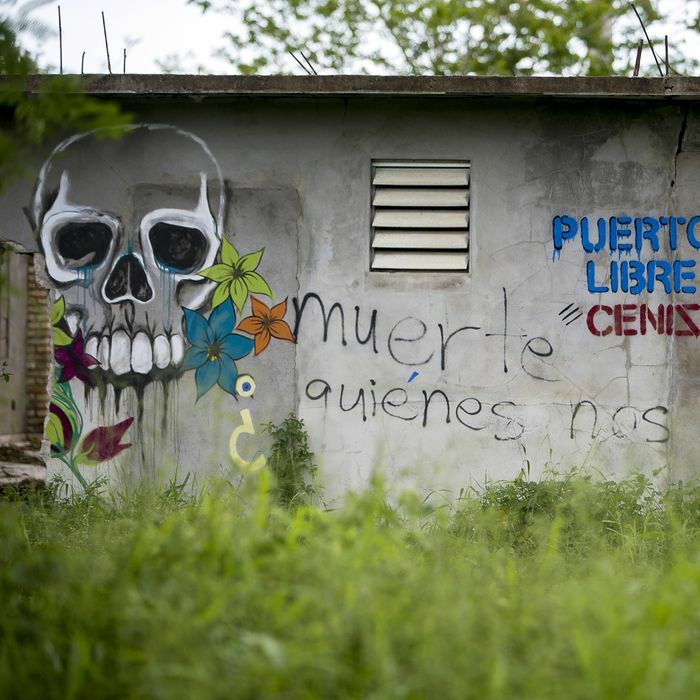 What should happen to #PuertoRico? Support for statehood only figures to grow as the island’s struggles to recover from Maria continue. The unraveling controversy surrounding a small Montana energy firm and its no-bid contract to repair the island’s electrical grid should help too. As it stands, the only people in Washington who’ve been able to draw attention to this issue are elected officials from places such as Utah and Arkansas. Yet another reason Puerto Rico should have its own congresspeople in Washington.